The BOB-CAT® XRZ™ is the professional-grade riding lawn mower with premium comfort and performance features you deserve. 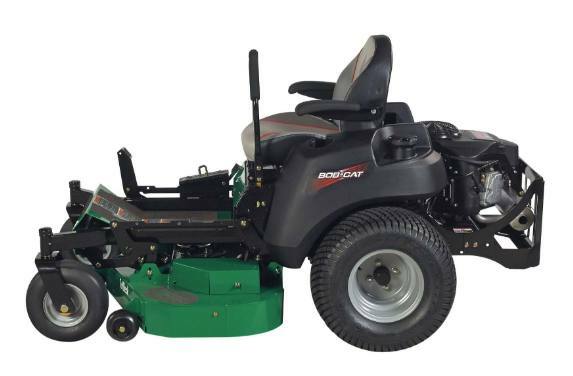 BOB-CAT lineage, inherited ancestry: Bred to be in a class all its own, the new BOB-CAT® XRZ™ riding mower is packed with premium performance and comfort features that rival commercial mowers. 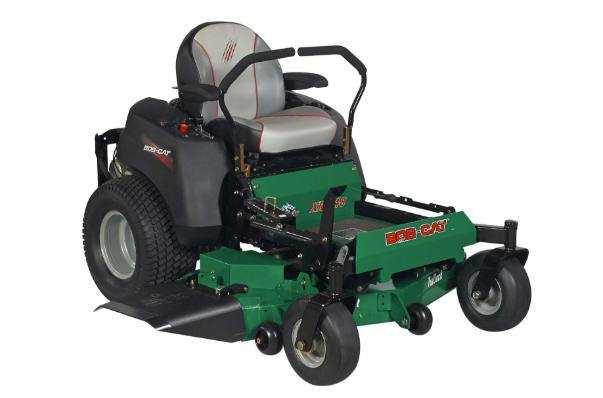 Comfort & Control: Designed with your comfort in mind, the new BOB-CAT® XRZ™ features a premium high back elastomeric vibration control (EVC) seat with armrests that reduce vibration for all-day riding lawn mower comfort. Wide 22-inch rear drive wheels help the XRZ™ smooth the ride over undulating terrain and provide added traction on slopes. Cutting height can be easily controlled on-the-fly with the quick-lift foot pedal allowing for cutting ranges from 1.5 to 4.875 inches in quarter-inch increments or instantly as needed. 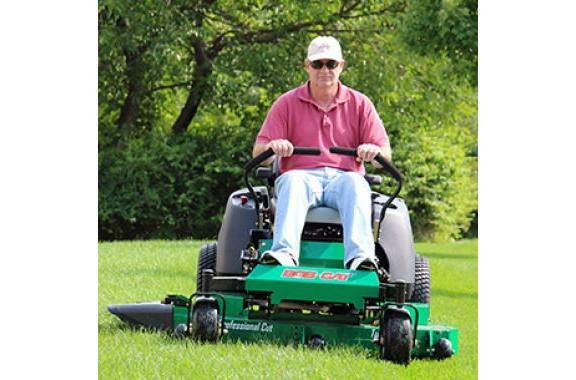 A Quality Cut Every Time with TufDeck™: The rugged design of the new BOB-CAT® TufDeck™ Professional-Grade Mower Deck with patented Double-Wave Baffle System makes grass stand up and take what's coming to it from blades that spin up to 18,800 fpm. An extra-wide polymer impact resistant discharge chute shrugs off dings while fanning clippings fine - eliminating clumps for a crisp clean cut. The XRZ™ offers a choice of 48-, 52- or 61-inch decks. 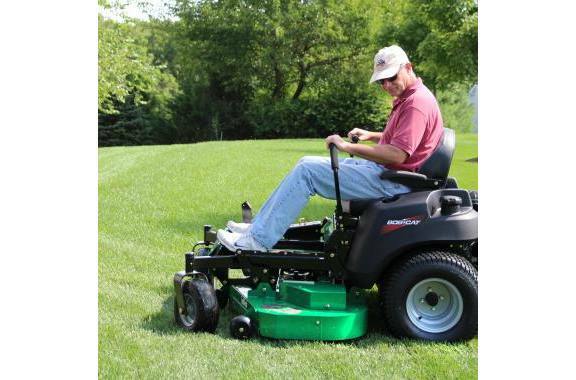 Reduced Maintenance: The XRZ™ riding mower's open frame design provides easy access to the engine, filters, belts, battery and more – taking the hassle out of routine maintenance. Flip up foot plate allows for easy access to belts and pulleys for cleaning and service. 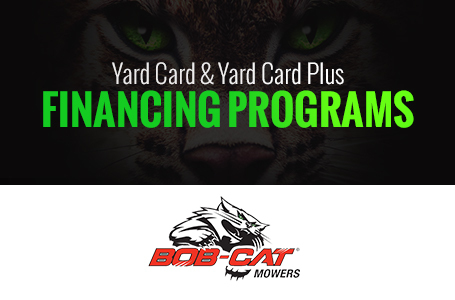 And, because all BOB-CAT® riding lawn mowers share a common design, parts are readily available and affordable too. Peak Productivity: The new BOB-CAT® XRZ™ riding mower line is powered by reliable Kawasaki® FR engines and commercial drive system powered by Hydro-Gear® ZT-3100 transaxles to produce a ground speed of up to 8 mph. Coupled with a large 6 gallon fuel capacity fuel tank, the XRZ™ gives you more than enough power and run time to tackle the largest properties.